Bandai Namco’s Jump Force Brings All the Big Guns From Various Manga Titles! 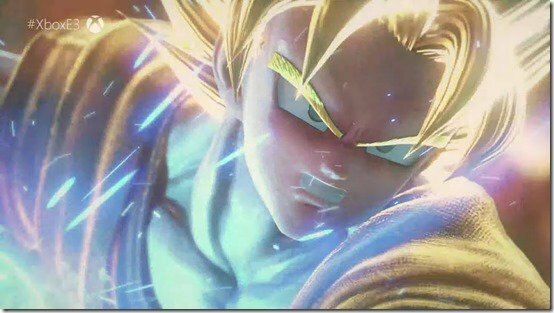 Bandai Namco just revealed revealed Jump Force, a brand-new game that mixes up characters from the popular Shonen Jump manga. So expect familiar faces like Son Goku, Luffy, Naruto and a whole lot more characters to join in on the fun. This time around, I can’t seem to make out what kind of game this is. Previous Jump games have been in the form of fighting games where various characters duke it out in stages that is usually a mixed of being the last man standing and other objective-based scenarios. My favorite of the previous games was way back on the Nintendo DS called “Jump Ultimate Stars” and is still the best in my book. The genre is still a mystery to me based on the video. But we can safely assume when seeing all these iconic characters, chaos will ensue. One thing that puzzles me though… How the hell do you fight as Light Yagami? Do you have to guess the person’s name!? Jump Force releases some time in 2019.